Hey, guys! 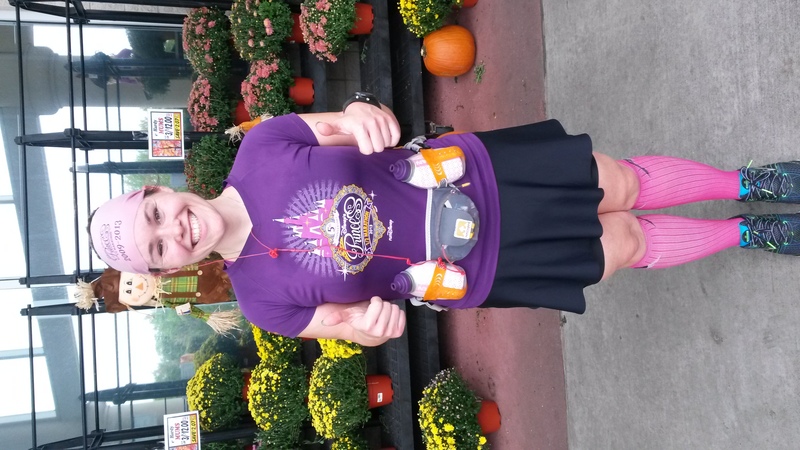 So since I somehow managed to get weeks and weeks behind in my New York City Marathon training recaps, I thought I’d go ahead and catch up now. Especially since we successfully completed the big kahuna — our 20-mile run — yesterday, and you all know what that means. 4 miles, 6 miles, 5 miles, 2 Taekwondo classes, and a long run of 16 miles. 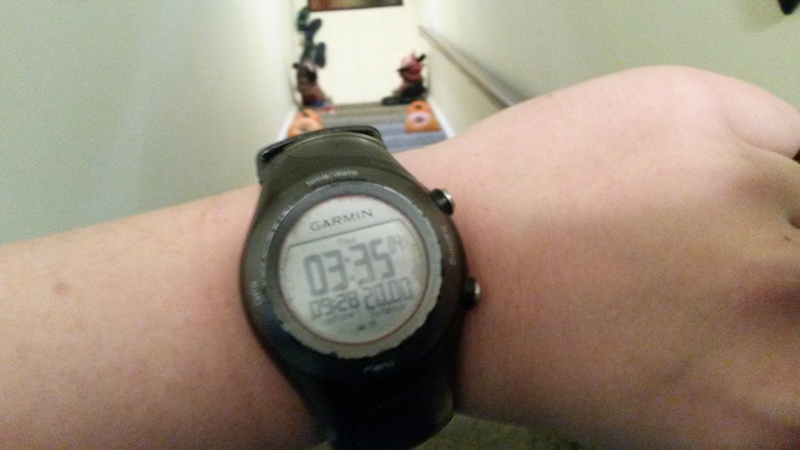 This was the first long run in this training cycle that actually went better than expected. It was still WAY too hot for me, but we got up super early and banged it out before the heat became unbearable. 6 miles, 5 miles, 4 miles, 1 Taekwondo class, and a scale-back long run of 10 miles. This was the point where the 10-milers in this training plan were really starting to feel a somewhat “easy” to me, and it did WONDERS for my confidence. 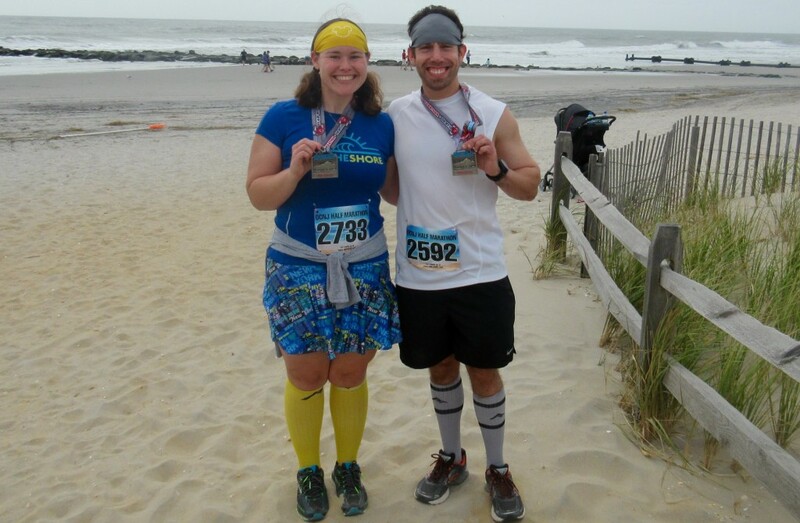 5 miles, 6 miles, 4 miles, 1 Taekwondo class, and our 18-mile long run, which we tackled as part of the Ocean City Half Marathon. A full recap can be found here! 5 miles, 8 miles, 5 miles, 1 Taekwondo class, and another scale-back long run of 10 miles. The feeling of “only” having to run 10 miles in between these hard efforts? Priceless. 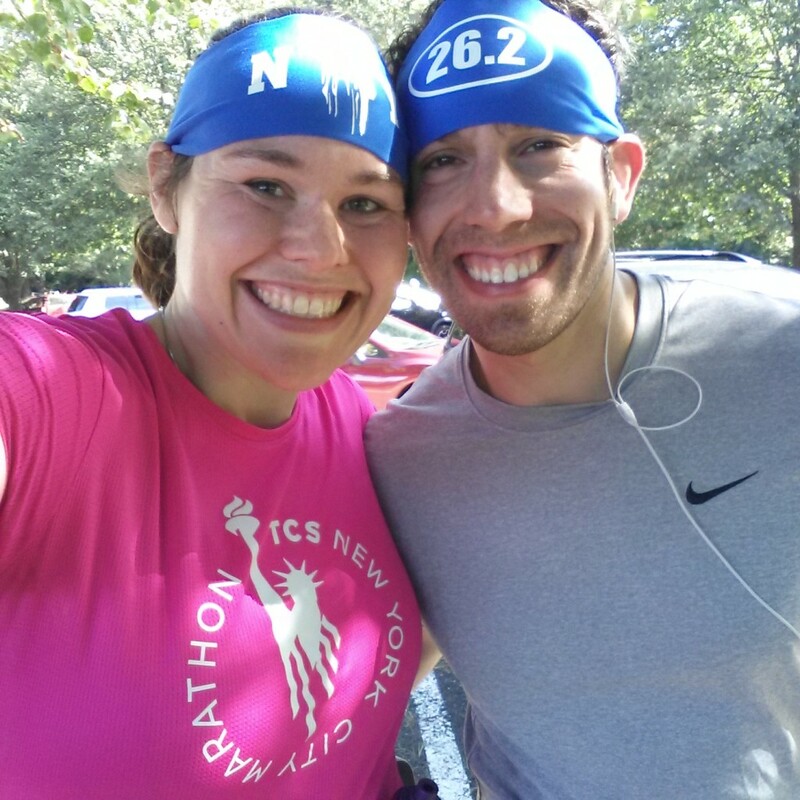 8 miles, 6 miles, 1 Taekwondo class, and our big 20-mile run! 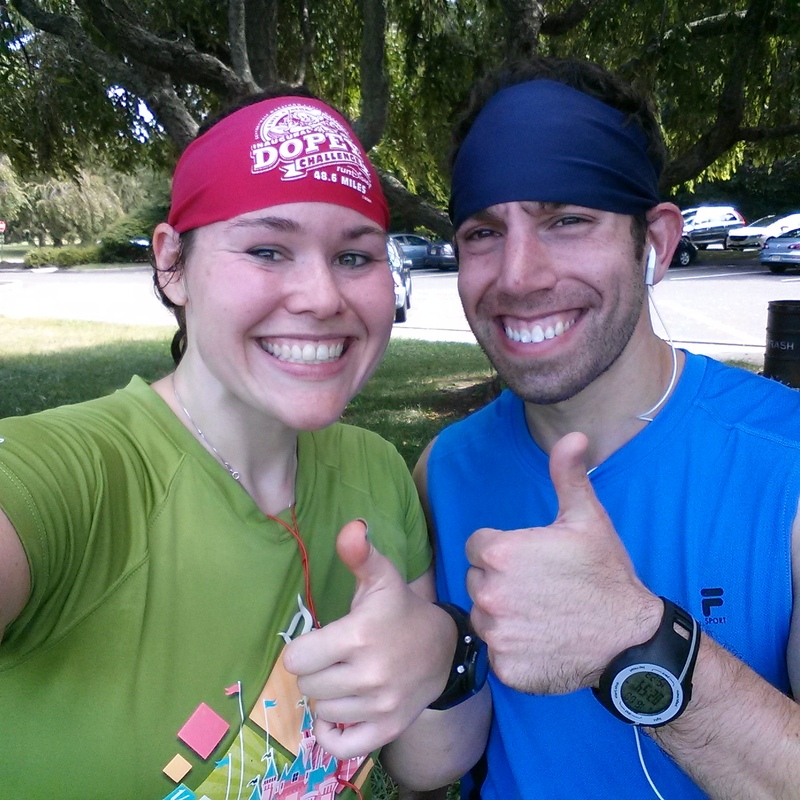 So the best news of all is that yesterday’s 20-miler is probably the best long training run both of us have ever had. We got started around 7:30am in temperatures that were a downright chilly 45 degrees. I was actually COLD for the first mile or two. That’s right…COLD! 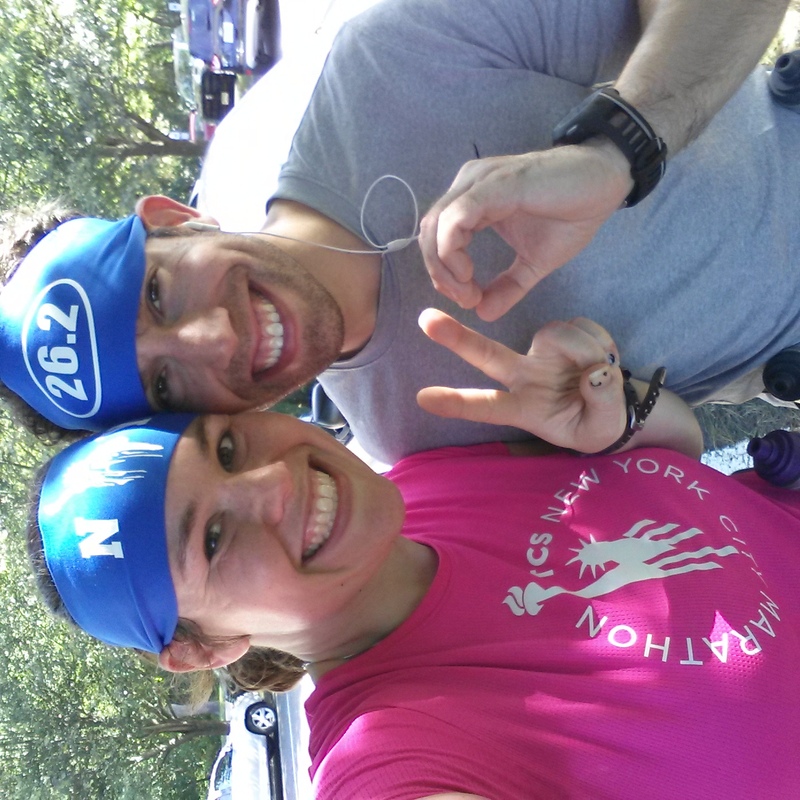 After a loooong, endless summer of suffering in sweltering heat, the running gods smiled upon us and we spent the majority of our 20-mile run in temperatures that never exceeded 60-65 degrees. IT. FELT. HEAVENLY. Honestly, the first half went by rather quickly. 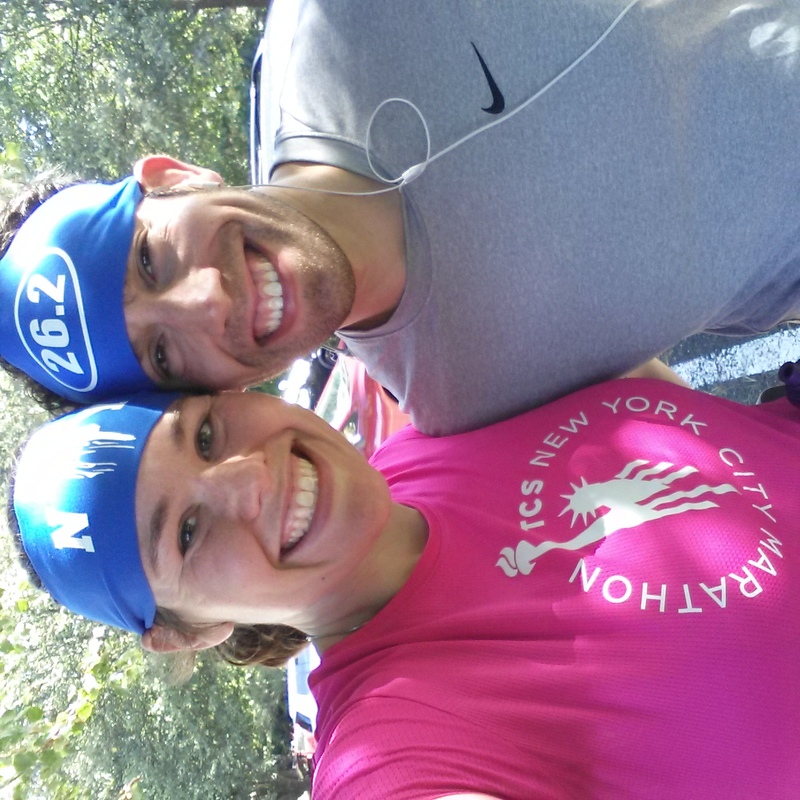 We ran a couple of loops around two parks we frequent, and spent some time running around a nearby community college campus. My legs didn’t feel like lead (FOR ONCE) and, mentally, I felt prepared for this final long run of our training plan. I’m completely obsessed with fall, so the chilly temperatures combined with the beginnings of some beautiful fall foliage were just the icing on top of the cake. My only issue for this run was some unexpected tummy crampage/discomfort, which I’m attributing to the fact that we went apple picking the day before and I basically ate my weight in apples — too much fiber, maybe? Haha. Something I should not eat before a long run…lesson learned, lol. The second half was a little tougher, of course, but we were able to maintain a solid 10-11/minute mile pace. 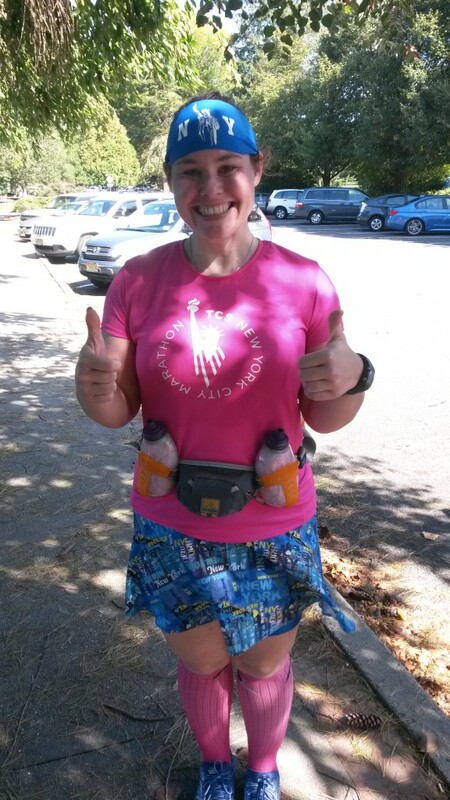 I didn’t feel the need to take walk breaks as frequently as I did during all of those hot summer long runs, and we stuck to our usual plan of refueling every 4-5 miles. As I approached the final 5K still feeling strong, there was a part of me that KNEW that I had this. 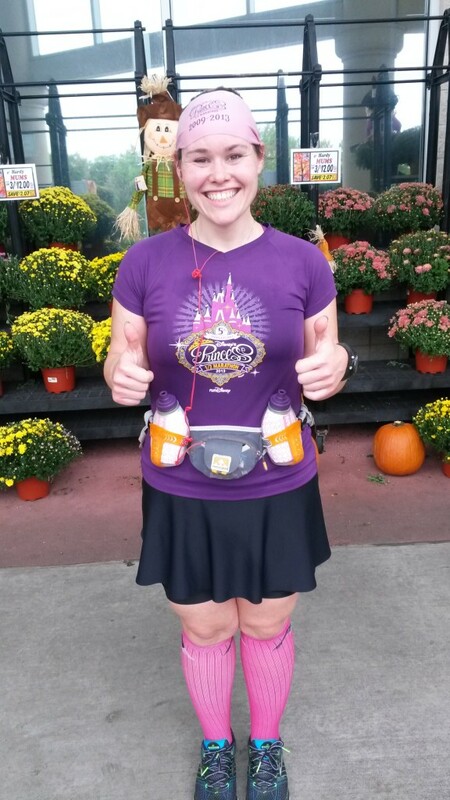 I realized that for the first time, I was going to go into a marathon feeling completely prepared. It’s not like that morning’s run was “easy,” but for some reason, my usual physical agony and self-doubt and obsessing about how I would EVER be able to cover 26 miles in a few short weeks just wasn’t there. I felt like all of my hard work this summer had paid off. I felt ready…and, dare I say, downright confident. And that feeling elated me. I don’t know if it was just the cooler temperatures — or maybe suffering through so many hot summer runs really DID make us stronger — but we finished this long run in probably the best physical and mental shape ever. I felt freakin’ awesome…actually, I think we both did. Our reward? A trip to Manhattan Bagel for a yummy turkey sausage bagel sandwich and lots of coffee. YES. 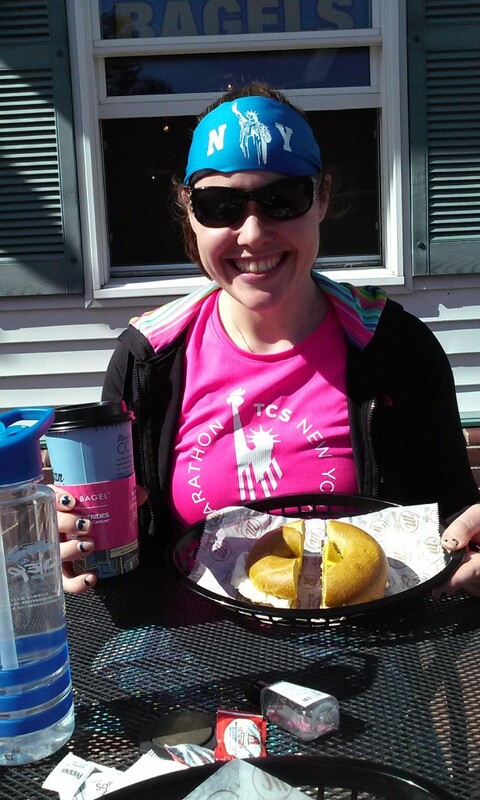 (Am I the only one who is EXTREMELY motivated by food as a reward for a solid long run effort? Hahaha). 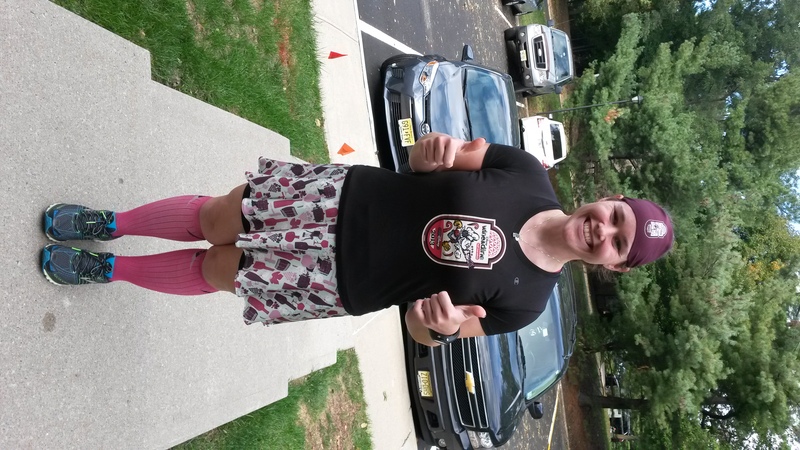 In our final weeks of training, we have some slightly shorter mid-week runs plus a “for fun” Halloween-themed half marathon next weekend (more on that soon), followed by a 7-miler the following weekend. And then I get to run what I think is THE MOST AMAZING RACE IN THE WORLD (other than Disney, of course!) with my running partner-in-crime for the first time. To say I’m excited doesn’t even begin to describe it. After the New York City Marathon? Well, we may or may not have signed up for another *BIG RACE* for the week after the Wine & Dine Half Marathon. I’ll tell you guys all about it in my next post…it’s a long story. What was your best long run ever?! Yay for victorious long runs! 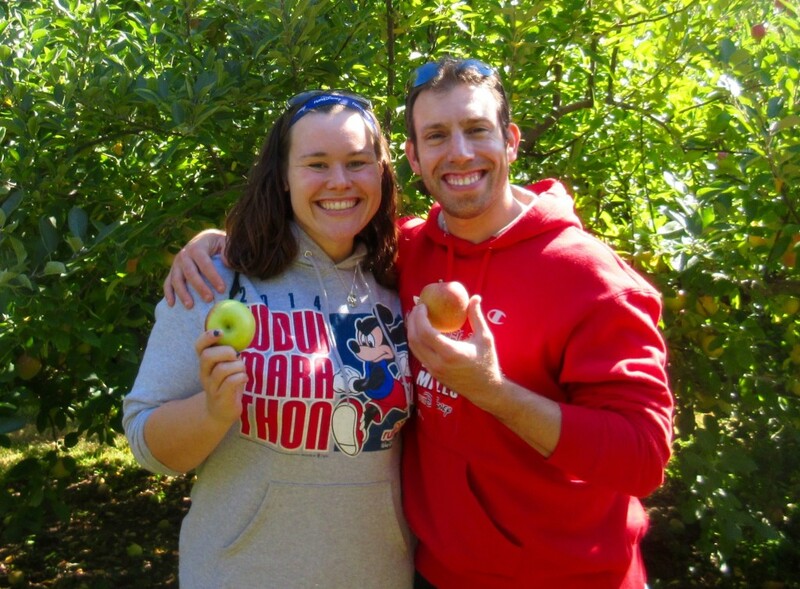 And yeah, you may want to keep NYC as the only apple in your diet prior to race day. Good luck guys!! Thank you!! HAHAHA, yes, excellent point. Lesson learned. 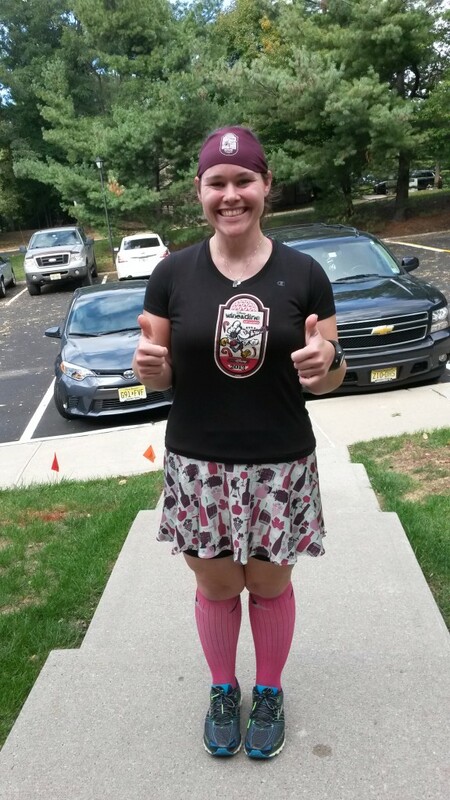 It sounds like you are ready to tackle the NYC Marathon. I also completed a good long run yesterday, 21 miles and feel excited for taper and race day. Finally my training has come together and like you, I have my confidence back. see you in a few weeks! Thanks so much, Pam! Congrats on an awesome final long run and training cycle. You will be amazing, as always! Hope to see you on November 1st! and dont feel bad-I am doing NYCM, wine and dine 5k and half, and then going back home for the avengers 10k and half! Thanks, Juliana! I still give you MAD PROPS for running a race in temps that warm, I seriously would have died. 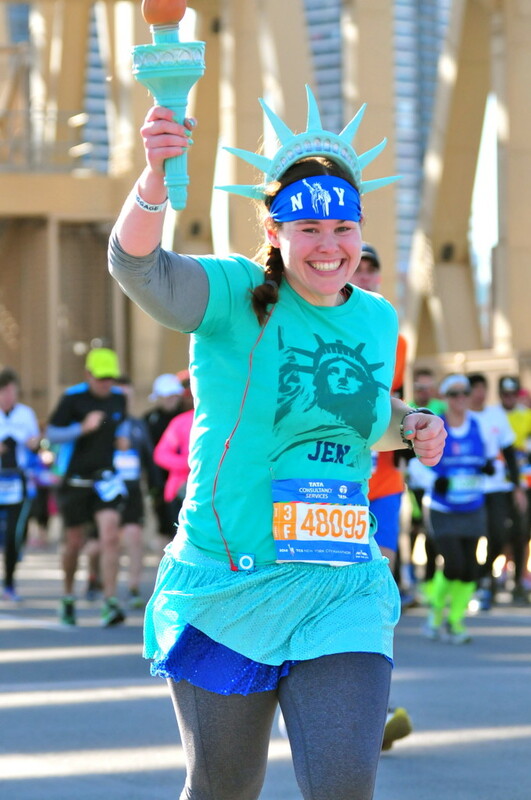 Would LOVE to meet up with you at NYCM/W&D…let’s be sure we make that happen! Great job! I am so excited for you to tackle NYC again! You are gonna do great! Can’t wait to see what creative outfit you have this time around! Loved the statue of liberty outfit! YAY! Congrats on getting your 20-miler in and being in the taper now, I know that feels really good! It seems like just yesterday you two were starting your training and now NYC is almost here! I’m not positive yet, but I might be up there to cheer on a friend. If so I’ll be looking for you and your costume… I assume there will be one Hope I get to cheer you on in person! Thanks so much, Kristina! There is NOTHING like taper time. NOTHING. Oh, that’d be awesome! Definitely keep me posted if you’ll be there! And you KNOW there’s going to be a costume…just not sure what it’s going to be yet. Congrats on a successful final long run!! Hopefully, you will be able to carry your confidence from this run over to marathon day because you so have this! That’s what I’m hoping!! Thanks, Stacie! Wow, good for you! 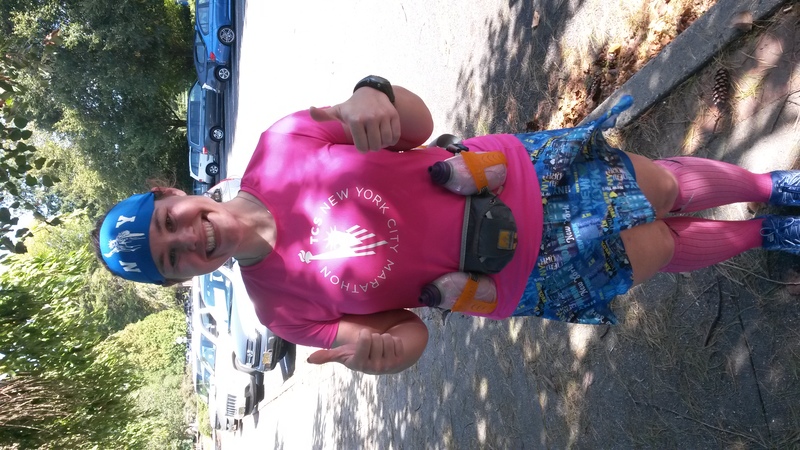 There’s nothing like going into a race nailing your last long training run and feeling prepared! Thanks, Danielle! This so RARELY happens to me, so it’s definitely a great feeling! 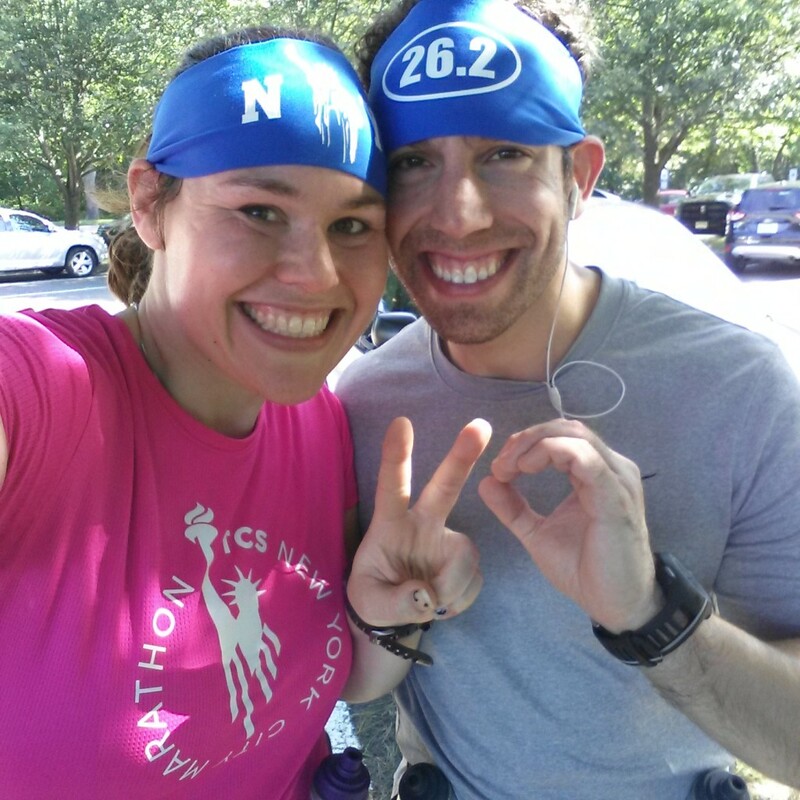 Yay for a strong 20 miler! 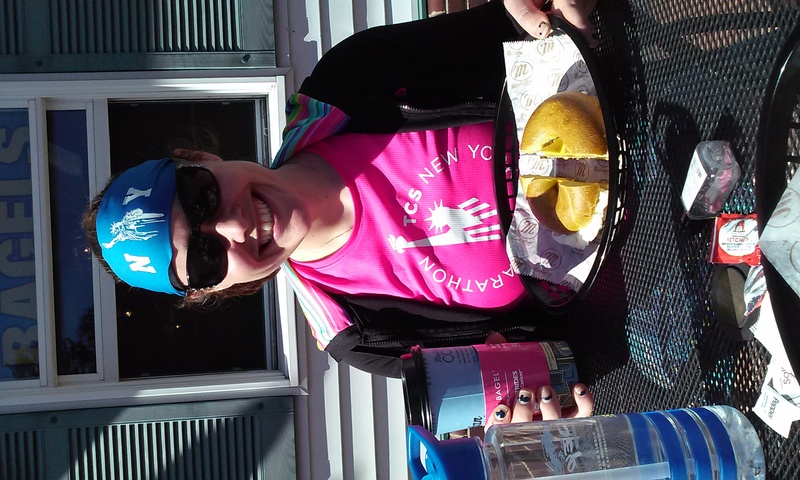 Totally okay to reward yourself with delicious food after a long run too. Enjoy the taper before NYC! Hahaha, that’s for sure! Can’t even imagine what I’ll put away after the race…lol. I love when everything comes together and the run is great. What a great way to head into taper mode. I can’t believe MCM and NYC are almost here. DEFINITELY! I know, it really snuck up on me! It some ways it feels like I’ve been training forever, and in others, I seriously can’t BELIEVE we’re only a few short weeks away! Congrats on finishing training so strong! Can’t wait to cheer you across the finish line! Thanks so much, Karla! I hope to actually see you this year!! Anyway, sounds like you’re ready to rock NYC!!! You’ll do great! Hahaha, believe me, I’m SO with you. It’s such a rarity for me, too. I think you DEFINITELY need to give NYC another chance (un-injured, of course! ), it really IS amazing!